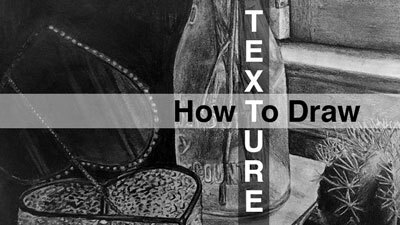 ← Drawing on a Flat Or Tilted Surface – Which is Best? 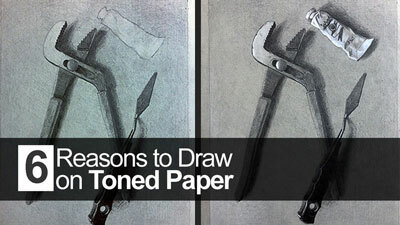 Why is it that such a large majority of people believe that they simply cannot draw? What exactly happens to us that makes us believe this untrue statement? If you ask a room of one hundred average adults to raise their hands if they believe they can draw, only a handful will raise their hands. If you ask one hundred 5 year olds the same question, nearly all of them will raise their hands. What happens to us to make our opinions about ourselves change so drastically? Can this belief be changed and what can we do to change it? 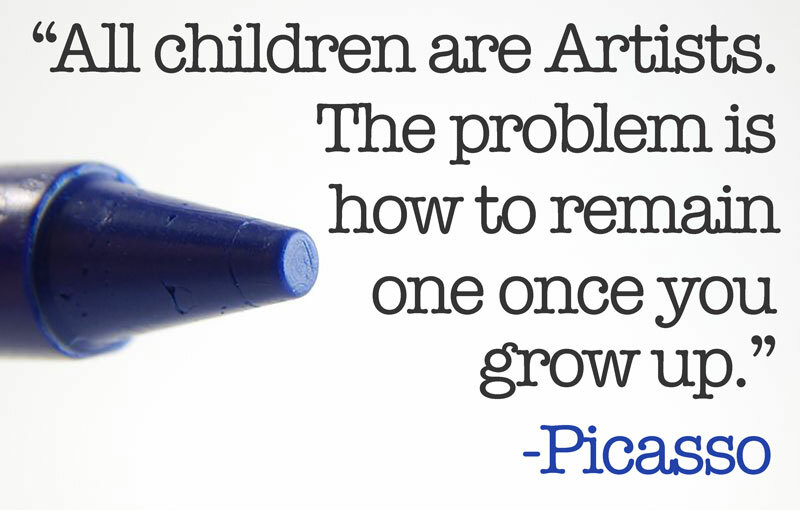 As children, we truly are all artists because we believe we are. There’s no reason to believe otherwise. Think back to first grade. What were your favorite activities? Beyond recess, and perhaps lunch, I’ll bet you that you enjoyed coloring or sculpting, or perhaps building things with blocks. You enjoyed creating because we are innately all creators in some form or fashion. Drawing is the most foundational form of creating. For most children, the moment in which they are handed a crayon (without a coloring page) is the moment that they first create something. The marks made are far from representational, but they are pure – made without any preconceived notions or past negative experiences. They are created out of nothing, without limitations. It is a magical moment when this happens. We all experienced it at some point, without realizing the importance of the act. Many of us continue on for the next several years, blissfully creating things without judgment from others. We may receive compliments that encourage us to continue, but we do not hear condemning comments. But somewhere along the way, still while we are young, we start to notice something. We start to notice that some of our artistic peers receive more praise than we do for what they create. We wonder, whether knowingly or not, why we don’t receive the same level of praise. Often this happens in children right before moving into adolescence and it doesn’t just apply to making art. It applies to athletics, performance arts, and anything else that is skill-based. We start hearing that some folks are “talented” because they are somehow “better” than us. We start wondering if we are “talented” and we start searching for our so called “hidden talents”. Adolescence also marks the beginning of a difficult and fragile period of life. At this point, we are quite impressionable and believe what imperfect adults tell us. We are also quite concerned with what others think of us, as we search for “our place in life”. We are quite sensitive to any form of judgment. Unfortunately, it is this sensitive period of life when judgment starts to play a major role in who we become. Grades received in school start to matter with a greater weight. Athletic programs begin to cut players, performances require auditions, and children at this age are brutal to each other regarding physical appearance and social status. Impressional students start to believe that there are things that they can do, but other things that they can’t and perhaps never can. They may truly love the process of drawing, but the fear of judgment holds them back. Over time, if not righted, this love of drawing and creating becomes suppressed. 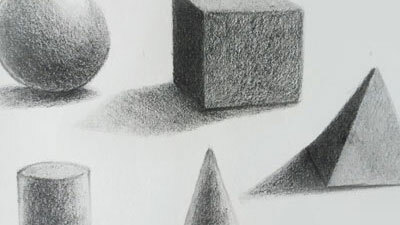 The student begins to believe that they really cannot draw and they search for something else to make them accepted. The structure of our educational system also plays a role by forcing students into a “path”. 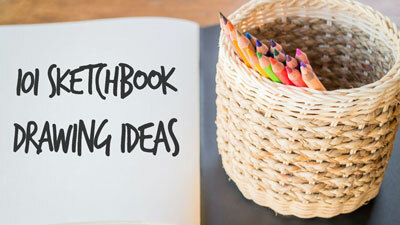 Some middle schools require students to take band, chorus, or art – but not a combination of any two. Why can’t a musician also be an artist? We stereotype people and force them to fall into a category. If you are a football player, you can’t be a dancer. If you are an artist, then you also cannot be good at math. Students accept these stereotypes because adults make them believe they are true. Students often carry on, accepting that they do have certain abilities, but others are simply not attainable. Stereotypes, once engrained in our minds, are strong adversaries. Once cemented, they often follow us through life. While it is true that we are all different, with varied skills and interests, I’ll argue that who we are is the result of who we believe we are and not purely the result of a collection of proteins in our DNA. We’ve mentioned talent here several times already, but this great myth needs to be examined further. The belief in talent can take you very far or crush you before you even start. Far too many of us believe that our life and who we are is determined largely based on our DNA. These people believe that we are either born with a “talent” or we are not, and that our abilities are somehow inherited by our parents, grandparents, or another ancestor. When in truth, this is just another limiting lie. We all know “talented” people. Perhaps, you’re one of them. In most circumstances, talented people are labeled so because they have acquired a skill. It could be drawing, athletics, or perhaps they can play a musical instrument well. Some people that are labeled as “talented” believe they are talented and the power of this belief fuels their work ethic. But many people who are called talented know the truth. This truth is that no skill is developed overnight, doesn’t require hard work, and is certainly not the result of inheritance. Skills are acquired. Some skills require many hours of hard work and many years of training to reach a level competence. Drawing is one of these skills. The reality is that people that “can draw” have worked very hard to do so. The good news is that any skill, and I mean any skill, can be learned and acquired by anyone wanting it. This clearly includes drawing. But if you believe that it takes talent in order to so, then you will likely never overcome this hurdle. You’ll simply say to yourself, “I’m not talented” and give up far too early. The first challenge that you encounter will become your undoing. “Talent” then becomes an excuse for why you can’t. The development of a skill is a series of challenges that you overcome, one at a time. It is not something that just happens. But if you stick with it, and face the challenges that await, and if you keep working and practicing, before long, people will be calling you “talented”. Our beliefs guide our lives. If we truly believe that we can achieve something, then we are likely to be successful. The reverse is true as well. If we believe that we are incapable, then we probably are. Henry Ford is quoted as saying, “Whether you think you can, or think you can’t – you’re right”. If you started believing at some point that you can’t draw, then you’re right. However, if you believe that you can draw and you’re willing to work for it, then you’re also right. If you truly believe, then you find ways to make it happen – no matter what the circumstances. When we believe and are faced with a challenge, we find a way to overcome it. We know that the goal will eventually be achieved, so we work through all of the obstacles to get there. But if we don’t believe and are met with an obstacle, we say to ourselves, “see I knew I couldn’t do it” and we give up. 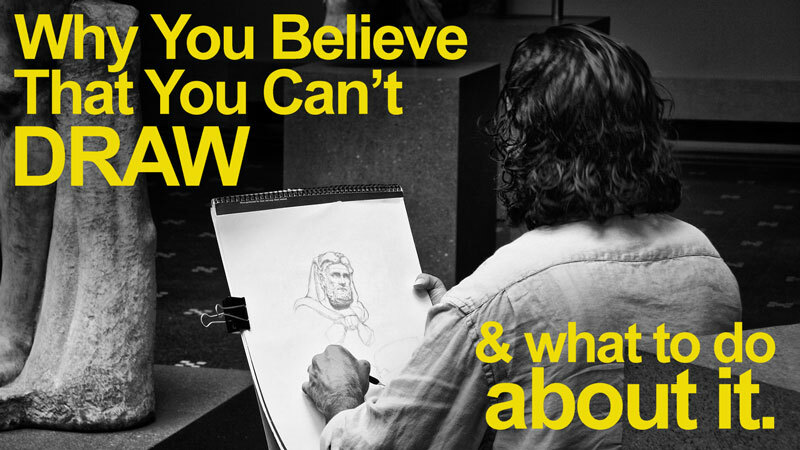 It should be fairly obvious what needs to happen in order for us to change our beliefs about drawing. It is easier said than done, but if drawing well is a skill that is desired, you must alter your thoughts. It all starts with returning to that outlook you had when you were a first grader. The outlook that included limitless possibilities and an endless supply of “I can”. It’s returning to that place where the world was a blank slate before you, waiting to be written on with your unique mark. It’s letting go of judgments past that may have scarred you or made you believe things about yourself that weren’t true. It’s about defining your life for yourself, instead of letting others define it for you. It’s about dismissing the falsehood of “talent” and realizing that any skill can be developed by anyone. That if the desire is there, and you’re willing to work for it, then anything is possible. And finally, it’s about believing in yourself – that you can do this. You can do anything that you want. We are given only one short life and it’s much too short to live wondering what might have been. It’s never too late to reach your goals and to be the person that you choose to be. You can draw and you can start right now. The only thing in your way is you.